Check out the most updated and latest information about Rahul Sharma's on the Internet.We have 45 videos of Rahul Sharma including interviews, events, or public appearances.Rahul Sharma has over 72 Fans registered on India-Forums.com. We have 71 Television News articles related to Rahul Sharma.Do share your criticism, comments and feedback for the Actor on Rahul Sharma's comments page. 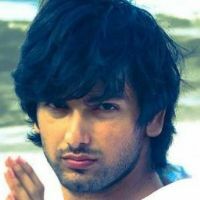 We have over 24 Photos of Rahul Sharma to view and download including Rahul Sharma's Wallpapers. Love your work in Kaal Bhairav Rahsya.. keep it going..
Rahul, sad to not see you on EGB but glad you got a new one. Hopefully it's better! In love ever since TMLS. Loved you in TMLS... Abhi nah! You and umang suit each other!! Love your character of Akash and think it's the best in the show! Luuub yooou in EGB keeep Rooocking!